Before you click the blue “OK” button at the bottom of the screen, add all necessary deductions and company contributions. Step 26: Add Any Deductions Or Company Contributions The process for entering addition, deductions, and/or company contributions is incredibly similar to adding earnings.... The best scenario is an employee benefit that is not taxable to the employee, but is tax deductible for the business, such as a group disability and health care plan. The worst option is a benefit which is taxable to the employee, but not (or only partially) tax deductible to the employer. 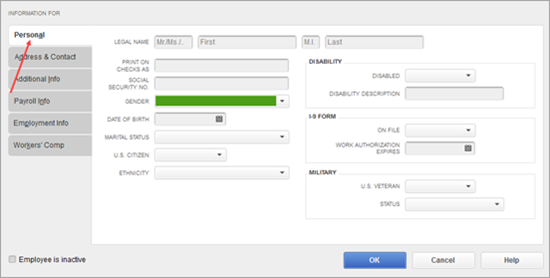 QuickBooks correctly calculates and deducts the employee's contribution. 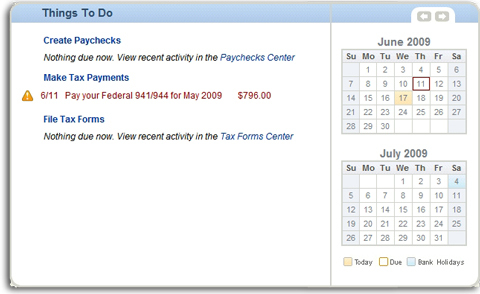 What I don't know is where I include the Employer's contribution / get QuickBooks to calculate the employer's contribution so that it shows in the payroll & the reports (and presumably also shows in the employee's payslip).... A fringe benefit is a form of pay for the performance of services, given by the employer to the employee. Personal Use of a Company Car (PUCC), in which you allow the employee to use a business vehicle for personal use, is a type of fringe benefit. Pay per hour $ Health/dental cost (gross per mo) $ # Holidays-paid days (annual) # (Less) Health/dental (co-pay per mo) $ ( ) Vacation-paid days (annual) # Retirement benefits (% of pay) % Sick & other pd days (annual) # Union cost (per mo) $ Training days (annual) # Cell phone cost (per mo) $ Internal mtgs (hrs/week) # Bonuses (annual) $ Non-job prep/prob solving (hrs/week) # Licenses (annual... A fringe benefit is a form of pay for the performance of services, given by the employer to the employee. Personal Use of a Company Car (PUCC), in which you allow the employee to use a business vehicle for personal use, is a type of fringe benefit. The additional amount for health and other insurance, such as life insurance, is a deduction as well if the employee authorizes it. 401(k) and other retirement deductions: Many employers have plans that allow employees to make benefit deductions on pretax dollars.